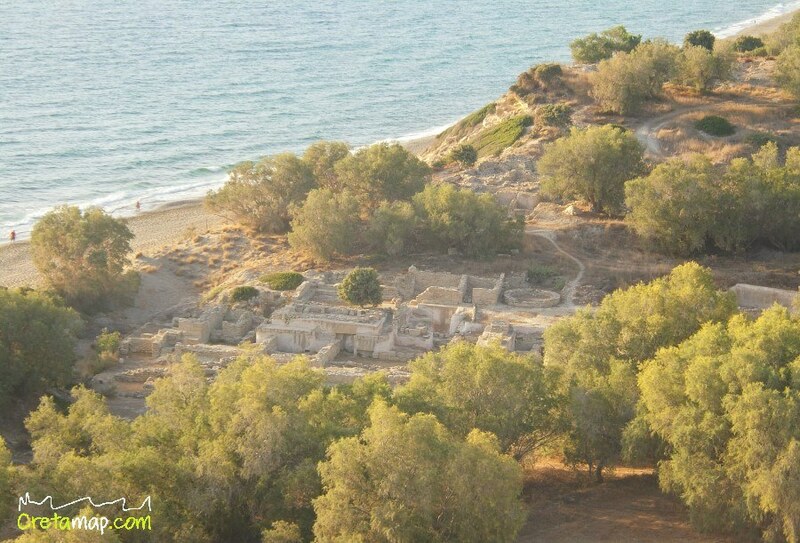 Kommos (Κομμός in Greek) is an archaeological site in southern Crete. It was a busy port with connections to the Near East that flourished around 1800-1200BC. Vessels from Cyprus, Egypt, and Sardinia indicate the sphere of trade contacts enjoyed by the citizens of Bronze Age Kommos. Its ancient name was probably Amyklaion. 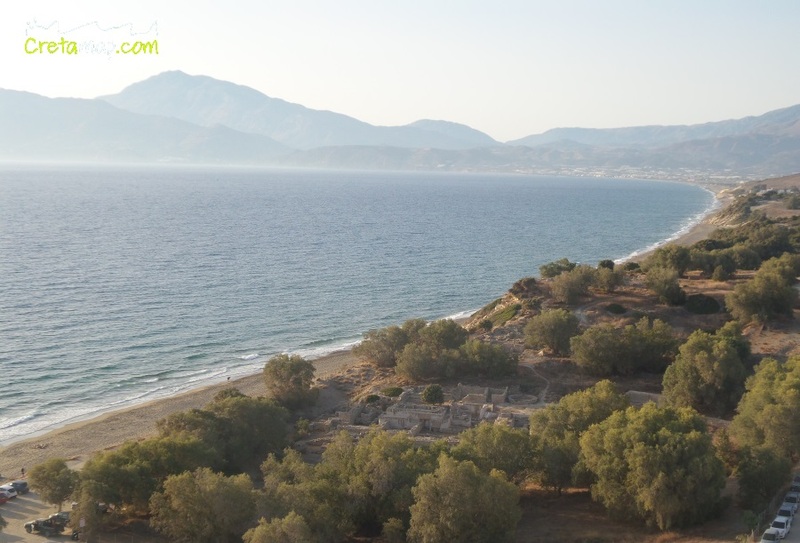 Kommos lies 5 kilometres south-west of Ayia Triada and six kilometres south-west of Phaistos. 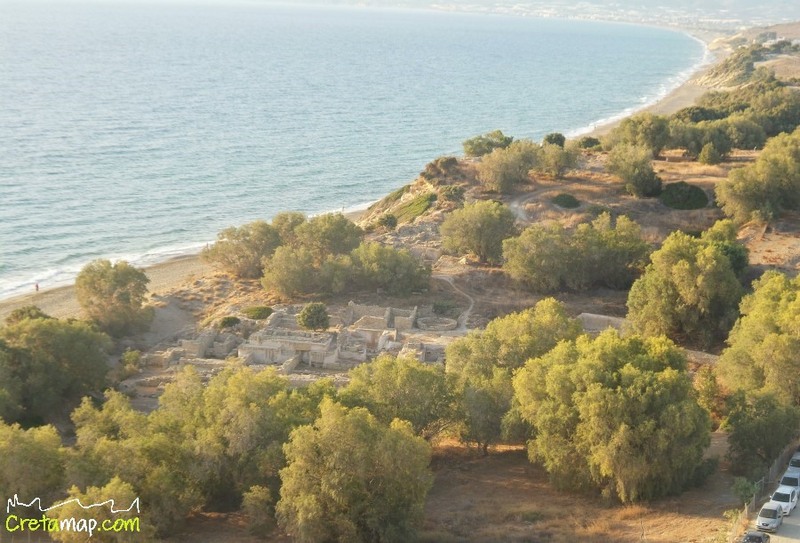 The settlement is situated on a small hill next to the beach at the end of the Messara plain near the village of Pitsidia. 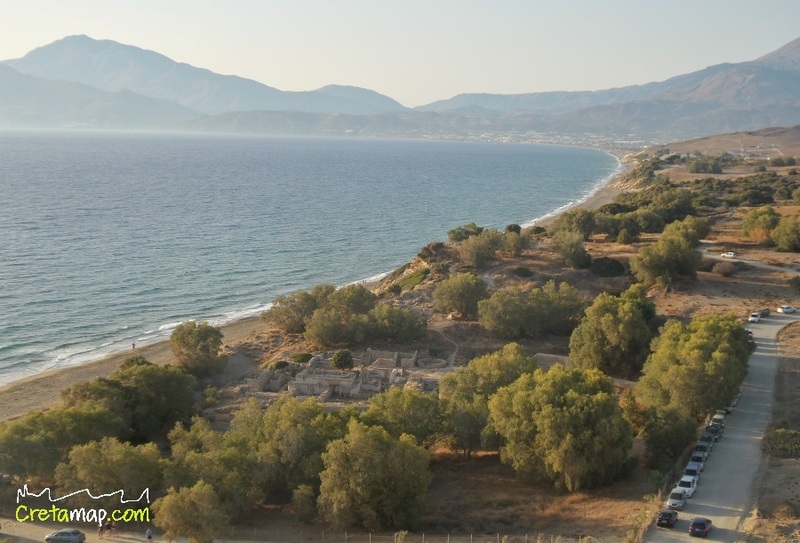 It is most likely that the harbour served the palace of Phaistos and was linked to it by a paved road. The site first attracted the attention of archaeologists in 1924, when Arthur Evans heard about large storage vessels found there and speculated about the existence of a Bronze Age “customs house”; excavations have been carried on by J.W. and Maria Shaw between 1976 and 2005. The site does not conform to the traditional “Palatial” style of the Minoans. It was built atop the ruins of a smaller stone- age settlement and it originally extended beyond the borders of the current protective fence, most probably to the north and east. The sea lies immediately to the west of the site. 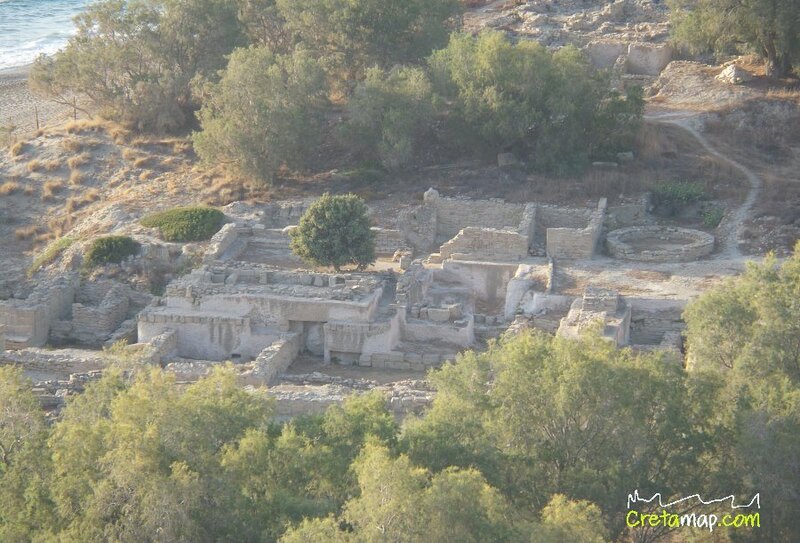 To date, three main areas have been uncovered, excavated and fully written up. On the hilltop and further south down the hill are the visible remains of Late Minoan buildings, built on top of early Middle Minoan structures. At the bottom of the hill, monumental Minoan structures were uncovered intermingled with later buildings from the Geometric, Archaic and Hellenistic periods. A paved section of road passing through the site along with the conversion to ship sheds suggests the use of the site as a harbour and customs house by a larger settlement. The houses and public buildings of the town were destroyed by an earthquake. Today most of the stone, clay and metal objects of Kommos are housed in Heraklion Archaeological Museum. Nearby is the larger ruined Minoan settlement and palace of Phaistos, which was one of the principal cultural centres of Minoan Crete. Up until last August the site wasn’t open to the public and I think that, unfortunately, it is unlikely to change. We will have to make do with the limited views from the fenced-off area.. I am interested in visiting the site because I allready was there in 2006 or 7 I do not remeber exactly but it was closed. Is it open niow for visitors?